A tornado of 3D blocks dances across the screen, this 3d video loop has an almost psychedelic feel to it. An immersive visual to have in your media folder. 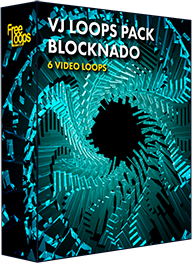 This video loop is part of VJ Loops Pack Blocknado.